Fujitsu Network Communications, in partnership with HFR, introduced a new Smart xHaul plug-in transponder card that enables service providers to leverage their existing 4G network to support 5G services. Fujitsu said its Smart xHaul solution enables optical transport for the most demanding Xhaul needs. 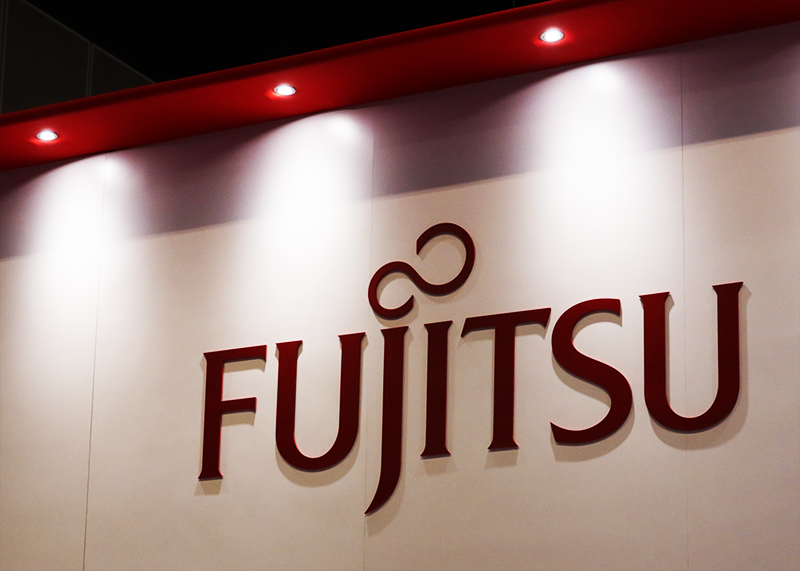 The solution comprises Fujitsu services, software and disaggregated hardware, including the HFR flexiHaul platform. Existing flexiHaul 8000 series platforms offer modular scaling options for the new ROE3J transponder card, providing multiple 5G channels over a single fiber core. This new transport solution is fully backward compatible with 4G Centralized Radio Access Network (C-RAN) platforms and serves as a significant early enabler for architectures that are critical to 5G success. Two North American Tier One operators are planning to deploy this new transport solution in their live 5G commercial networks having successfully completed 5G radio interoperability testing. The West Africa Cable System (WACS) has been successfully upgraded to 32*100G wavelengths configured on the longest optically amplified single fiber span stretching 11500km from South Africa to Portugal. WACS has two network operation centers and 15 landing points in 14 countries spanning West Africa and Europe. Huawei Marine, which was the contractor, said the upgrade employed Flex Grid and Optical pass-through technologies, and now represents the world's longest 100G system. In what it calls the world's largest transformation project, T-Systems has reduced the number of its data centers worldwide from 89 to 13 while increasing its overall compute and storage capacity by approximately 25 percent. The transformation comprised a total of 5,200 migration projects with around 23,600 compute servers alone, 60 percent of these in Germany. "We are particularly proud of the fact that we were able to implement the transformation without any loss of quality in customer operations," explained Jörn Kellermann, responsible for IT production at T-Systems. In September, T-Systems opened its Biere II data center in Saxony-Anhalt after 18 months of construction. With the completion of the second construction phase, Biere now boasts an IT production area of over 11,000 square meters, providing enough space for up to 100,000 servers. The campus has the potential to grow to nearly 40,000 square meters. Ericsson announced its entrance into the O-RAN Alliance, a group of leading telecom service providers and suppliers with the commitment to evolving radio access network (RAN) architecture and orchestration built on openness, intelligence, flexibility and performance. As a member of O-RAN, Ericsson plans to focus on the open interworking between RAN and network orchestration and automation, with emphasis on AI-enabled closed-loop automation and end-to-end optimization. Ericsson will also focus on the upper-layer function as specified in 3GPP to provide interoperable multivendor profiles for specified interfaces between central RAN functions, resulting in faster deployment of 5G networks on a global scale. The O-RAN Alliance, which is a carrier-led effort to open the radio access network of next-generation wireless systems, released its inaugural white paper, “O-RAN: Towards an Open and Smart RAN,” which is available on the O-RAN website. The white paper describes the O-RAN architecture, which drives a more cost-effective, intelligent RAN with open interoperable interfaces for next-generation 5G networks and beyond. The O-RAN Alliance also announced that Reliance Jio, TIM, and Verizon have joined the O-RAN board. At its recent meeting at Mobile World Congress Shanghai, the O-RAN Alliance also elected Andre Fuetsch, president of AT&T Labs, as chair of the Board. In addition, Alex Jinsung Choi, SVP Strategy & Technology Innovation at Deutsche Telekom, was appointed as Operations Officer; and Bharti Airtel, China Telecom, KT, Singtel, SK telecom, Telefonica, and Telstra were approved as new Board members. This expands the number of Board Directors to 12. “The cloud has been one of the most transformative trends in enterprise computing – boosting productivity, cutting costs and creating flexible environments. But cloud adoption still faces momentous challenges, including security risks and an exponential rise in computing complexity. That’s why we’re pleased to announce new investments in three exceptional companies that will help overcome these challenges,” stated Mauro D’Amato and Sunil Kurkure, investment directors at Intel Capital. Platform9, a start-up based in Sunnyvale, California, announced a fully managed Kubernetes service on VMware vSphere with Platform9 Managed Kubernetes (PMK). Platform9 says its solution eliminates the operational complexity of Kubernetes at scale by delivering it as a fully managed service, with all enterprise-grade capabilities included out of the box: zero-touch upgrades, multi-cluster operations, high availability, monitoring, and more, all handled automatically and backed by a 24x7x365 SLA. The service delivers centralized visibility and management across all Kubernetes environments - whether on-premises, in the public cloud, or at the Edge - with quota management and role-based access control. "Kubernetes is the #1 enabler for cloud-native applications and is critical to the competitive advantage for software-driven organizations today. VMware was never designed to run containerized workloads, and integrated offerings in the market today are extremely clunky, hard to implement and even harder to manage," said Sirish Raghuram, Co-founder and CEO of Platform9. "We're proud to take the pain out of Kubernetes on VMware, delivering a pure open source-based, Kubernetes-as-a-Service solution that is fully managed, just works out of the box, and with an SLA guarantee in your own environment." The FBI has raided a laboratory in San Diego belonging to Huawei Technologies as part of an investigation related to AKHAN Semiconductor, a start-up based in Gurnee, Illinois, according to a report from Bloomberg. AKHAN Semiconductor accuses Huawei of breaking and possibly attempting to reverse engineer a sample of its proprietary Miraj Diamond technology, which uses a micro diamond film to create very strong glass. The technology potentially could be used for smartphone screens and for military applications. AKHAN provided a sample to Huawei, which was later returned in damaged condition. VPIphotonics, which offers simulation software for photonic design automation, has teamed up with Luceda Photonics to streamline the design process for Indium Phosphide-based Photonic Integrated Circuits (PICs). Luceda’s IPKISS design platform combines circuit level design and simulation, layout and device CAD all based on Python scripting. Luceda’s SMART Photonics PDK allows designers to tape-out to the SMART Photonics foundry by means of a foundry validated PDK. VPIcomponentMaker Photonic Circuits is a professional simulation and design environment for large-scale photonic integrated circuits and offers a large mix of general-purpose photonic, electrical and optoelectronic device models. The library extension VPItoolkit PDK SMART v1.5 enables a layout-aware schematic-driven PIC design workflow and provides access to a broad set of available standard building blocks of the SMART PDK. The companies said the solution enables the designer to combine the best of both worlds by porting a schematic design to the Python-based layout. “The IPKISS design platform supports a growing number of PDKs from the major photonic IC foundries in silicon, dielectric and III-V technology. By making our validated SMART Photonics PDK available from within VPIcomponentMaker Photonic Circuits, organizations can now take a leap forward and create a design flow that is more reliable and scalable and that will enable them to consolidate their knowledge in a fast moving industry,” stated Pieter Dumon, CTO of Luceda Photonics. Ribbon Communications, agreed to purchase the business and technology assets of Anova Data, a provider of advanced analytics solutions. Under the deal, the equity owners of Anova Data will receive at closing an aggregate of 3.3 million shares of Ribbon common stock in exchange for substantially all of the assets and liabilities of Anova Data. Ribbon does not expect that the acquisition will materially affect its financial results in 2019. Anova Data offers a cloud-native, streaming analytics platform for network and subscriber optimization and monetization. "These assets perfectly complement our existing security and analytics platform, Ribbon Protect," said Fritz Hobbs, President and Chief Executive Officer of Ribbon Communications. "Anova Data's cloud-native solutions, which already boast several global Tier 1 deployments, are expected to help us further expand our offerings to mobile service providers with a comprehensive solution set that combines subscriber-level analytics with real-time network optimization and intelligence." ZeeVee introduced a plug-in module to enable the world's first Ethernet switch featuring integrated HDMI connectivity for video sources, including the capacity to distribute uncompressed 4K/UHD and HDR content. The new ZeeVee ZyPer4K HDMI Module, developed in collaboration with NETGEAR and the SDVoE Alliance, plugs into a NETGEAR M4300-96X Modular Managed Switch. "We are proud to continue our close relationship with NETGEAR and the SDVoE Alliance to, for the first time, enable HDMI source connectivity to an Ethernet switch," said Bob Michaels, CEO, ZeeVee. "This combination of IT and AV at the integrated product level, rather than purely at the infrastructure level, will promote the wider adoption of next-generation communications systems." "While we see the matrix switch as obsolete, its customizability is a valuable feature we can learn from as we move to a standards-based, interoperable Ethernet infrastructure for AV distribution," said Justin Kennington, SDVoE Alliance president. "NETGEAR took the first step by creating the affordable modular Ethernet switch, and we are not surprised that SDVoE Alliance co-founder ZeeVee added its pro AV expertise to jump to the forefront of the exciting new product category."